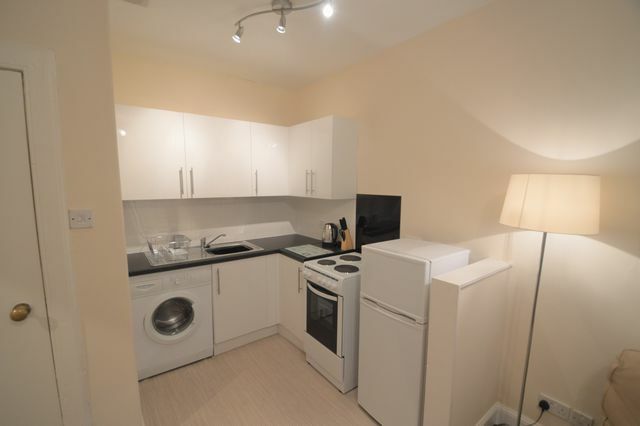 Immaculate 1 bedroom ground floor property in popular Gorgie Area. The property is accessed through a secure entry. There is an open plan living room kitchen, MODERN fitted units, new carpets, freshly painted and with a good level of furnishings. The bedroom is a good size, over looking the back communal garden area. There is a good wardrobe style cupboard just off the bedroom. The property further boasts a well laid out shower room with fully tiled shower. To further compliment the property there is double glazing throughout. There is plenty of parking and all local amenities can be found to hand. Excellent location for commute to city centre and out towards the Gyle. A must see!! Landlord Registration: 632967/230/05121. EPC Pending.